Most Americans have subsequently concluded that the longest war in this nation’s history was also the first war America ever lost. In fact, however, as a former North Vietnamese colonel told me several years ago, one of the great ironies of Vietnamis that the American military was never defeated in any battle of consequence. I wondered if what I had heard had been thunder. April 28thhad been a day of thunderstorms with lightening flashing over the city. Then, a few moments later the unmistakable metallic sound of a 122 mm rocket shrieked through the heavy humid night air and exploded nearby. This time chunks of ancient plaster fell from the ceiling and the walls of the 100-year-old hotel shuddered. I jumped from bed, scampered barefoot over the cool crimson tiles to the small balcony overlooking Lam Son Square and threw open the French windows. Before me, looming in all its hulking alabaster majesty, was the old National Assembly Buildingand beyond it the high rise Caravelle Hotel. Both were intact. Yeah, I remember thinking, if you don’t kill everybody else in the city first. Nha lifted his rifle and fired several more rounds into the air. I had seen Nha in action with his M-1 carbine during our after curfew hikes to the PTT office. He often amused himself by blasting away at the giant rats that roamed Saigon’s deserted streets after the cyclos and ancient smoke-belching Renaulttaxis had stopped running for the night. Was this it? I can recall thinking. Is this the end? As it turned out, America’s ill-fated crusade in Vietnamwas indeed over. And this was the way it would end: not with honor, as one president had suggested, but in ignominy and humiliation and chaos. Some would make it over the walls and onto the choppers. But only some. Most would be held at bay by U.S.soldiers—former allies—who pointed M-16s at them, cursed them, pounded their clawing fingers with rifle butts and threatened to blow their heads off. 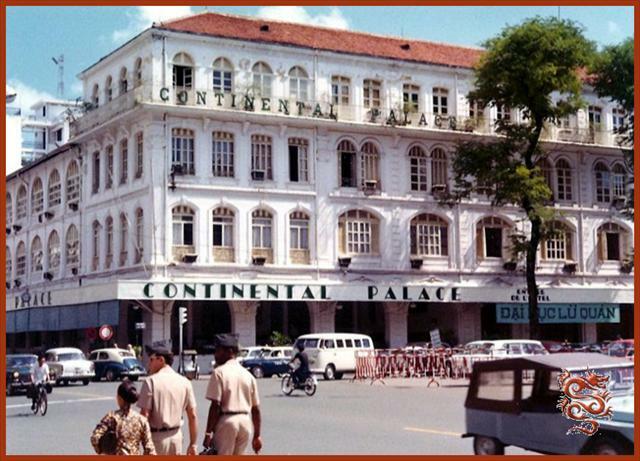 I had arrived in Vietnam from my Tokyo base in January 1975, and with the exception of a few weeks spent in Phnom Penh, Cambodiain late February and early March, I had lived in Saigonat the Continental Palace. The North Vietnamese push for Saigonbegan March 7 in Vietnam’s central highlands. Four days later, the provincial capital city of Ban Me Thuot, 180 miles north of Saigon fell. A few days later, South Vietnamese President Nguyen Van Thieu decided to adopt a plan of “strategic withdrawal,” which, in effect, conceded the northern half of South Vietnamto the Communists and precipitated one of the greatest routs in military history. By early April, the North Vietnamese controlled almost 75 percent of the country and a palpable sense of doom enveloped Saigon. 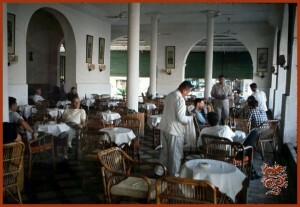 The city’s ubiquitous bars, famous for their “Saigontea,” were mostly empty. Vendors selling “pho” and “ca-phe sua” (beef noodle soup and “white” coffee), beggars and hundreds of homeless children had all retreated from the streets. The official length of the war is generally conceded to have been eight years—from 1965, when President Lyndon B. Johnson sent in the U.S. Marines, to 1973, when the Parispeace accord was signed. However, if you count the first advisers sent to Vietnam by Harry Trumanin 1950, America’s involvement in S. E. Asia spanned three decades. During that time, about 3.1 million military personnel (including 7,200 women) served in Vietnam. The human toll was staggering. By the time America’s active involvement in the war officially ended in 1973, it had claimed the lives of 58,183 American men and women. Another 304,000 Americans came home wounded, sometimes physically and sometimes mentally. One of every 10 soldiers who served in Vietnamwas a casualty. Vietnamwas nothing if not intense. For example, Pentagon figures show that the average infantryman in the Pacific theater in World War II saw about 40 days of actual combat in four years. 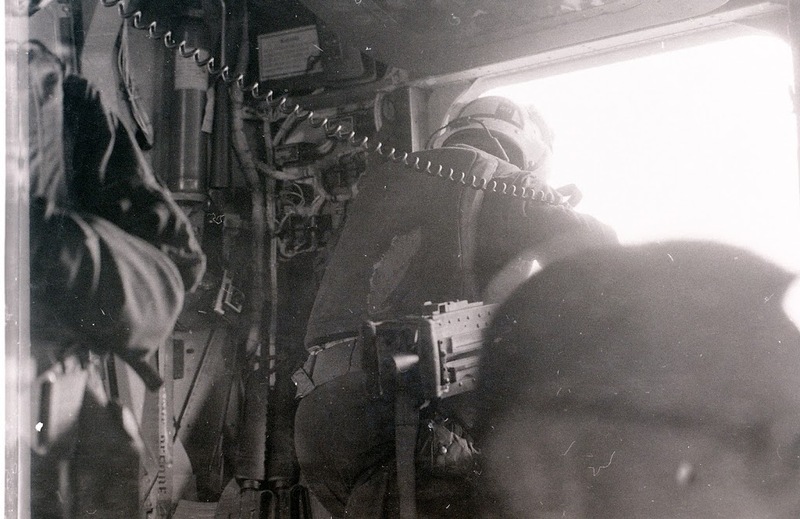 In Vietnamthe average infantryman saw about 240 days of combat in one year—a fact directly attributable to the helicopter, which allowed for much more rapid deployment of troops. 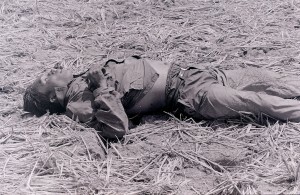 In Vietnamthe impact of America’s involvement in the war was even more conspicuous: 3 million Vietnamese killed, including 1 million North Vietnamese and Viet Cong soldiers; 250,000 South Vietnamese soldiers; and 2 million civilians, according to Vietnam’s Ministry of Labor, War Invalids and Social Affairs. 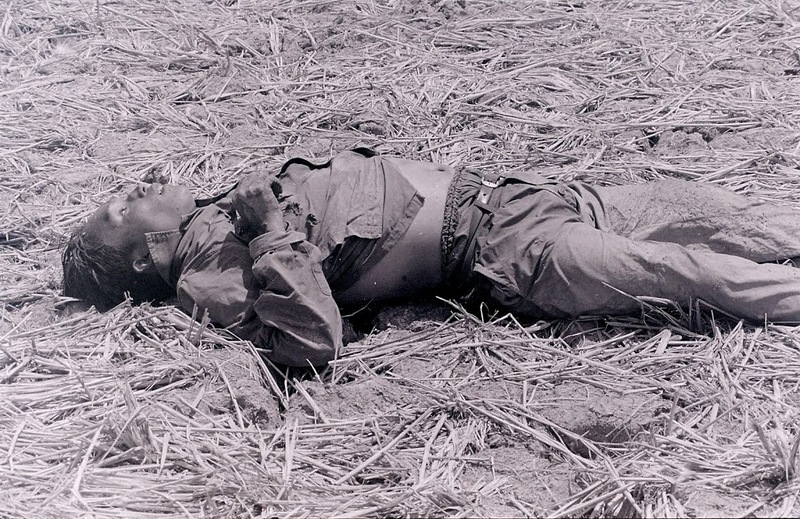 More than 600,000 North Vietnamese and Viet Cong troops were wounded, while 500,000 South Vietnamese troops were wounded and 2 million civilians on both sides were crippled by mines, artillery fire, chemical defoliants, bombings and the general mayhem of war. In early April I had driven my rented jeep to a town called Phouc Hiepand found myself in the middle of a rice paddy along with a handful of other reporters when a fire fight broke out between ARVN (South Vietnamese) and North Vietnamese troops. It also sped up the dynamic Saigonrumor mill. One rumor said that Catholics originally from the north would be sent on a death march along the Ho Chi Minh Trail. Another rumor said that Viet Cong soldiers in Da Nanghad ripped out the manicured fingernails of prostitutes, prompting a frenzy of fingernail cutting and polish removing among Saigon’s bar girls. Yet another rumor said that unmarried Catholic girls would be forced to marry North Vietnamese war invalids. In order to ensure that Talon Vise went smoothly, Martin authorized bribes to Saigonpolice so buses could move through checkpoints without a problem. He also allowed Vietnamese to be smuggled into the American Embassy through a hole cut into the wall of the adjacent French Embassy. “What a perfect metaphor for this f…ked up place,” the late Hunter S. Thompson, who was covering the end of the war for Rolling Stone Magazine, told me one evening. We were having dinner at the My Canh floating restaurant on the Saigon River. “Lies, deceit and betrayal. Hey, I think I have the name for my next book.” The “gonzo” journalist then took a long drag on a fat Buddhagrass joint and asked if he could ride out with me to “the action” the next day. Thompson’s assessment notwithstanding, Ambassador Martindid not want to be accused of cutting and running. Until the last few hours he was convinced there could have been some negotiated, equitable settlement that would allow a smooth transition of power. 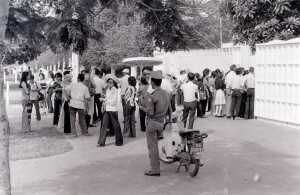 It is possible today to forgive Martin for his muddled thinking—especially in light of the revelations contained in the book “In Retrospect: The Tragedy and Lessons of Vietnam” published in 1995 by one of the architects of America’s involvement in Vietnam, former Defense Secretary Robert McNamara. “How does ‘White Christmas’ go?” they inquired anxiously. I hummed it for them. For the next few days Japanese and others not familiar with the old Bing Crosby Christmas standard could be seen standing on Saigon streetcorners humming the song to one another. 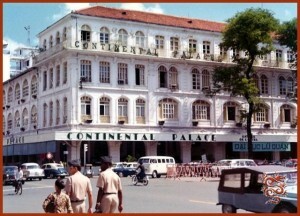 A few hours later, Operation Frequent Wind (the name given to the final evacuation) was ordered by President Gerald Fordand I paid one last visit to my room in the Continental Palace. I had stockpiled a couple of cases of American beer, soft drinks and a variety of PX junk food, along with a small library of pirated books. “What’s this, the Graham Martinsightseeing excursion?” someone asked. 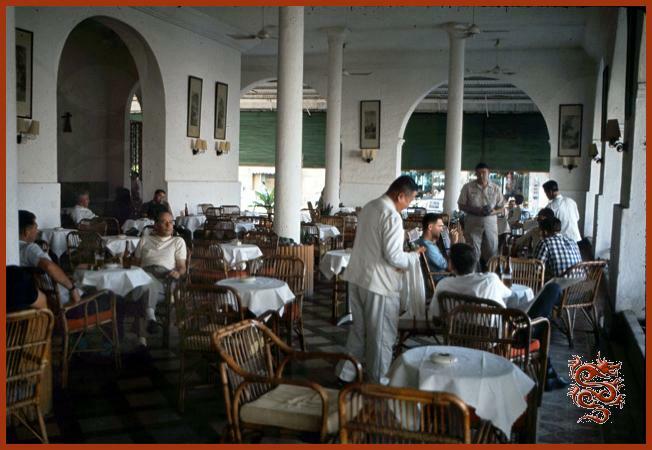 It was almost 6 p.m., some 14 hours since the final bombardment of Saigonhad begun. I was exhausted. I was sure every ounce of adrenalin in my body was used up. I thought about the C-119 I had watched get knocked out the sky by a SAM-7 missile and began to wonder if I had made the right choice. Maybe I should stay. After all, during one of the Saturday briefings at the Viet Cong compound at Tan Son Nhut, which was established as part of the 1973 Peace Accords, Col. Ba had told me all correspondents would be treated as “guests” by the conquering North Vietnamese Army. We flew low at first, then the pilot put the helicopter into a steady climb. I stood up and looked down at Saigonover door gunner’s shoulder. The city looked bizarrely peaceful and idyllic with the Saigon River meandering through the city and toward the South China Sea some 50 miles away. At 4:58 a.m.April 30, Ambassador Martinclosed down the embassy, destroyed its communications equipment and climbed aboard a helicopter on the embassy roof.